We looked at the top 8 Slow Cookers and dug through the reviews from 64 of the most popular review sites including Good Housekeeping, Best Products, BestReviews, New York Times Wirecutter, Digital Trends, The Spruce Eats and more. The result is a ranking of the best Slow Cookers. Our experts reviewed the top 8 Slow Cookers and also dug through the reviews from 64 of the most popular review sites including Good Housekeeping, Best Products, BestReviews, New York Times Wirecutter, Digital Trends, The Spruce Eats and more. The result is a ranking of the best of the best Slow Cookers. A combination of special features, portability and affordable price make the Hamilton Beach Set & Forget the top recommended pick for slow cookers. Meat lovers will rejoice at the built-in probe that gives you a temperature readout on the easy-to-use interface. The lid clamps make toting to potlucks a breeze. Plus it has programmable and manual features, and even keeps cooking if you have a brief power outage. DWYM Kitchen Experts plus Good Housekeeping, BestReviews, CNET, Reviews.com, New York Times Wirecutter, Top Ten Reviews and 4 more. Along with user reviews from Target, Amazon and Walmart.
" Electronic controls were easy to read. Timed cooking. Signal light. Automatic keep warm setting. Dishwasher safe." "Temperature flaws affect quality. Gasket lid is hard to seat. Exterior housing grows very hot." Get all the basics you know and love about slow cookers with a few extras, from the Cuisinart PSC-350. It has a 24-hour programmable timer, with 4 cooking options including simmer, plus a function that auto shifts to warm. A smaller cooking capacity with only 3 1/2 quarts makes it a great choice for people with limited space and singles or couples. 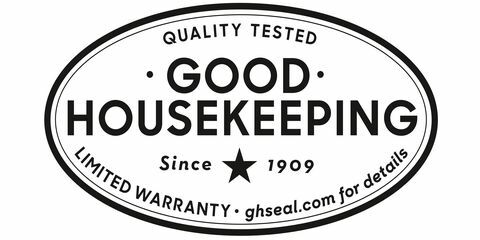 DWYM Kitchen Experts plus Good Housekeeping, Best Products and 1 more. Along with user reviews from Amazon, Walmart and Best Buy.
" This stainless steel cooker with a six-and-a-half-quart stoneware insert and electronic controls can be programmed to cook for up to 24 hours on the high, low, or warm settings; it automatically switches to the warm setting after cooking and remains..."
The sleek Crock-Pot Programmable Cook & Carry with digital controls is a modern update of a classic. Because of its large capacity, locking lid and big handles, it's perfect for toting to potlucks and cooking for a group. The removable crock can be put in the oven or microwave for convenient re-heating. Plus, it's simple to handwash or pop in the dishwasher. DWYM Kitchen Experts plus Good Housekeeping, CNET, New York Times Wirecutter, BestReviews, Best Products and 2 more. Along with user reviews from Walmart, Target, Amazon and Best Buy.
" Spacious six-quart insert. Dial control is very easy to use. Lid latches onto insert for easy transport. Owner's manual includes 10 recipes. Excellent customer service." "It kept food warm while it was unplugged, but it was close enough to the food-safety red zone that you'll still want to keep tabs via a separate thermometer." You can't argue with the price and ease of the classic Crock-pot Manual Slow Cooker. While it lacks a digital timer and uses the old-school low, high, warm dial setting, it can cook quick, slow and for a crowd. Plus, it has a few modern updates like a removable crock for easy cleaning and up-to-date stainless steel design. DWYM Kitchen Experts plus New York Times Wirecutter. Along with user reviews from Home Depot, Amazon, Walmart and Target.
" If you’re fine with a small, old-school slow cooker without bells and whistles (like a timer), the Crock-Pot 4-Quart Manual Slow Cooker should serve you well. It has excellent user reviews and a low, low price to boot." We identified the majority of the slow cookers available to purchase. 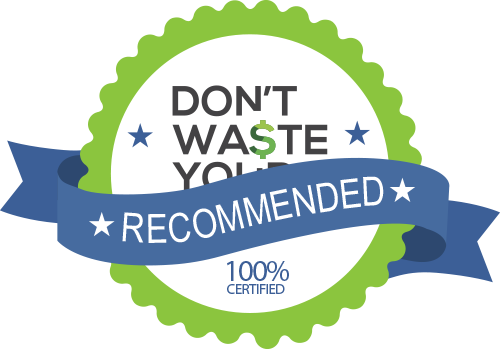 Reviews from our DWYM category experts and analysis of some of the most respected sources including: Good Housekeeping, Best Products, BestReviews, New York Times Wirecutter, Digital Trends. We also incorporate user reviews from the leading retailers including Amazon, Walmart, Best Buy, Target, Home Depot, Bed Bath & Beyond. Electronic controls were easy to read. Timed cooking. Signal light. Automatic keep warm setting. Dishwasher safe. Many great features, including programmable time and temperature. Handles stay cool. Thanks to its excellent heat retention, lid clips, and spoon rest, the Hamilton Beach Set 'n Forget 6-Quart Programmable Slow Cooker travels incredibly well. It's also a great value at $59.99. This device can be used to create delicious meals but the digital interface and clamps are unnecessarily more complex than other slow cookers. This programmable slow cooker includes a temperature probe that makes cooking meat a total breeze. You don't even have to open the lid to take the temperature, and you'll never have to risk serving undercooked meat to guests or family. Temperature flaws affect quality. Gasket lid is hard to seat. Exterior housing grows very hot. The display panel design is a little dated, and the button configuration could be more intuitive. It also lacks some design touches that make its competitors easier to carry and store. If you’re fine with a small, old-school slow cooker without bells and whistles (like a timer), the Crock-Pot 4-Quart Manual Slow Cooker should serve you well. It has excellent user reviews and a low, low price to boot. Slow cookers are the preferred way to make a delicious, hot meal even when you’re busy and on the go. From soups and stews to meats and even oatmeal all you have to do is prep your ingredients, dump them into the crock, set it and the slow cooker does the rest. Slow cookers were first introduced in the 1950s, and many of the basics are still the same. However, there are a variety of different brands, sizes and features available. To get the most out of it and choose the best slow cooker for you, learn about the parts, functions, uses and added extras available in some of the top slow cookers available today. Every slow cooker has a base that houses the heating unit, a ceramic insert — also called a crock — and a glass lid. Original models from the 1970s and 80s had a dial that could be set to high, low and off. As time went on, some models added an auto-shift feature which would start out high and shift to low over the course of the cook time. You can still get slow cookers with a dial, like the Crock-Pot Manual Slow Cooker, which has high, low and warm settings. A slow cooker heats starting from the base, up into the ceramic insert and then finally into the food. Stoneware is used for the insert because it keeps a constant, even heat. The lid helps traps steam to retain moisture, which is why it’s recommended not to lift the lid during cooking. One important modernization of the slow cooker available in almost all newer models is the removable crock. The base and stoneware used to be attached, which made slow cookers a huge pain to clean. Now the ceramic insert can be taken out to handwash or put in the dishwasher. Some models like the Crock-Pot Programmable Cook & Carry even allow you to put the crock in the oven or microwave for reheating purposes. Another update to new slow cookers is time and heat settings. Many models now have programmable interfaces that go beyond high, low and warm. The Cuisinart PSC-350 has a touchpad that can be used to program the countdown timer for up to 24 hours and it features four different heat settings; high, low, simmer and warm. The Hamilton Beach Set & Forget takes it a step further giving you the option to set a specific cooking time or temperature. Both automatically switch to warm when they’re done. Even slow cooker lids have seen some improvements. Slow cookers have always been ideal for feeding larger groups and keeping food warm at potlucks, tailgating and other events. But without a tight seal, they were difficult to transport without risking a major spill. Now, slow cookers like the Crock-Pot Programmable Cook & Carry and Hamilton Brach Set & Forget have locking lids with gaskets making them much easier to tote around, without the worry of making a mess. Glass lids are also preferable to plastic or metal. Because glass is heavier it should lock in heat and moisture better. Plus, you can see what’s going on inside your pot without taking the lid off! When choosing a slow cooker you will also want to consider the size. Slow cookers typically come in quart sizes. A smaller unit like the Cuisinart PSC-350 is just 3 1/2 quarts which makes it perfect for people with limited space or who only cook for a 1-2 people. The Crock-Pot Manual Slow Cooker has one of the largest sizes available at 7 quarts. You may want to consider a larger size if you plan to cook for big groups frequently or will be cooking larger cuts of meat. A slow cooker should also always be at least 1/2 to 2/3 full to work properly, so a larger size won’t work if you’re cooking smaller portions. If you’re looking for extra features you should definitely expect to go up in cost, from the standard slow cooker price which ranges from $30-$50. If you’re new to using a slow cooker you may want to stick with a more standard model so you can get the hang of it before you spring for more bells and whistles, like hold temp and searing functions. Lastly, think about how you will use it. If you plan to use your slow cooker to do the majority of cooking you may want to pay for a more robust model. A manual option may be better if you plan to be around while food is cooking so you can check for doneness. If you’ll be using it while being gone for most of the day, a slow cooker with programmable settings would be more ideal. This way, it has the ability to automatically keep food warm if you’re home later than expected or keep cooking even if the power goes out briefly. The shape can also be a consideration, but most slow cookers these days are oval. If you plan to cook a lot of meats oval is probably best, while round will work well for soups, stews and just about anything else. The slow cooker was first sold in the 1950s and was called the Naxon Beanery, after the inventor, Irving Naxon. It was originally marketed as a way to cook beans, chili and stews. Its roots are in the Jewish religious practice of not cooking on the Sabbath. Rival manufacturing bought Naxon Beanery and rebranded it as the Crock-Pot we know and love today in 1972. The Crock-Pot was initially very popular among women who were joining the workforce in higher numbers at the time. It allowed them to balance work and home by still having a hot meal waiting for their family at the end of the day. It also helped during the oil crisis in the 1970s because slow cookers require about as much power as a light bulb. At their peak, there were eventually 40 different companies making slow cookers. As time has gone on, the convenience factor is still attractive to families and single working people alike. Now, slow cookers are used for everything from morning oatmeal to potlucks and even tailgating. In 2002, Betty Crocker Kitchens found that 80.6 percent of U.S. households had slow cookers. Modern-day slow cookers are fairly easy to clean. Most have removable crocks and some can even be put in the dishwasher like the Crock-Pot Manual Slow Cooker. Even so, if you want to make clean up even simpler you can buy liners the go inside the pot before you add your ingredients. After you’re done cooking and eating, just scoop out any leftovers and toss the liner. Clean up done! As tempting as it may be, try not to open the lid of a slow cooker unless the recipe requires it during cooking. Every time you open the lid it lets accumulated heat and moisture escape. It also increases cook time by 15-20 minutes every time it’s opened. In most cases, there isn’t a need to stir ingredients, just follow the recipe instructions for how to layer properly for optimal cooking. Depending on the recipe it’s usually not necessary to cook ingredients before placing in the slow cooker. Still, many recommend sauteing or browning ingredients in a pan prior to adding it to the crock to help deepen the flavor. Always thaw meat and veggies before placing in the slow cooker. Putting frozen items in the cooker will keep the temperature too low and put your food in the danger zone for bacteria growth. Keeping raw foods in the fridge prior to starting your slow cooker is also key to food safety. Another important safeguard is using a thermometer to test doneness. The Hamilton Beach Set & Forget has a built-in temperature probe that gives you a readout on the interface. For other models without a feature for checking the internal temperature, you’ll want to use a separate thermometer at the time your recipe says your food should be done. Keep cooking if it’s not over 165 F.
Always take extra food out of the slow cooker as soon as possible and store in reheatable leftover containers. It’s not safe to use the slow cooker itself for storage or reheating. Whether you’re feeding a crowd or prepping a stew you can eat for a week, the budget-friendly benefits of a slow cooker are clear. But did you know that slow cookers also only use as much electricity as a light bulb? Plus, they’re the perfect way to cook inexpensive cuts of meat like beef or pork shoulder because they stay juicy and tender even with long cook times. As a general rule of thumb, place harder ingredients like root veggies or potatoes on the bottom layer in the slow cooker and softer items on the top. The bottom will have more moisture and heat for faster cooking. Because liquid doesn’t cook off in a slow cooker you don’t need to add too much. Same goes for wine and fat on meat. The alcohol content won’t diminish and the excess fat can cause oil to pool, so it’s a healthy choice to reduce both. With any luck, your food should have a deep, rich flavor. You can also always add fresh lemon or lime juice and fresh herbs once it’s done to brighten your dish and add more dimension. For the Slow Cooker category, we analyzed 64 of the most popular reviews including reviews from Good Housekeeping, Best Products, BestReviews, New York Times Wirecutter, Digital Trends, The Spruce Eats and more. The result is a ranking of the best Slow Cookers.